Having just recently started attending public school, I have found the topic of cameras interesting. Something I have noticed is that no one seems to care. People go about their day oblivious to the round, black semi-spheres that watch their every move as they go about their business. It seems to no one that this is a problem. Let me give you two opinions on the subject. Being what they are, and what their purpose is, it isn’t too hard to make an argument for cameras in school. Currently, they are only in the hallways and this allows for privacy in the classroom. If someone were to be hurt in the hallways, and accusations were flung, it is simple to see what happened and why. I am sure there are many instances when a person is accused of doing some wrong and not being able to defend themselves. No doubt those people would have loved having irrefutable evidence of their innocence, I know I would have appreciated it in varying situations with my past. And lets not forget another important way it could be important for student arguments: evil teachers. 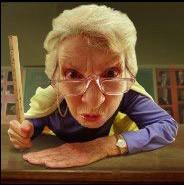 If you have ever had any serious problems in school with authority, you can agree that administrators almost always take the side of the teacher in a he-said, she-said predicament. Let me give you an example; your a student in a classroom and your breath is terrible, and a girl you really like is about to sit down next to you. Being the stud you want to portray, you take a piece of gum and are about to begin chewing, when you remember you aren’t allowed to chew gum in that room. You put it away and simply go about the class period. Now, at the end of class you are about to leave but the teacher asks you to stay after class for a minute. They tell you they saw you chewing gum and issue you a detention. You object, explaining the situation. They don’t believe you and proceed to take you to the principals office because your being disrespectful. There, the principal automatically takes the side of the teacher just because shes in charge. THIS ACTUALLY HAPPENED TO ME. And I know I would have wanted a video to prove me right and the evil mistaken teacher wrong. So what could be bad about having cameras in the classroom? The slippery slope is whats wrong. The intrinsic problem with giving power to people is that it will eventually be abused. Some argue that our school system is not as easily corruptible as, say, the government. However, this has been shown to be false, as seen in Safford United School District No. 1 v. Redding. In this case, a 13 year old was strip searched at school, without any kind of parental contact, under the belief that she had ibuprofen. She didn’t. The fact remains that any system needs checks and balances to its authority, or else people and powers are abused. So, what could be done with cameras? Think about that for a second. At this moment, many public schools already have cameras in the hallway without problems, seeing everything. If they are in the classrooms then there really is no privacy anywhere (except maybe the restrooms). What will happen then is up to your imagination. 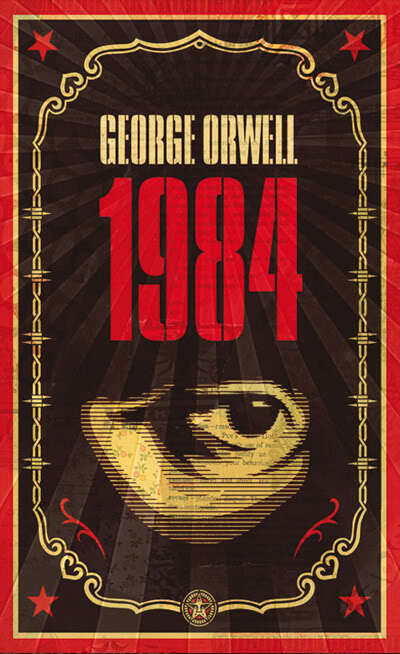 Conversations between students could no longer be private, any small indiscretion and slip of the tongue will be remembered always, and if anything is said that does not meet the standards of the establishment…well, just read 1984 by Orwell to get a picture of what I mean. In a perfect world, you could trust the government and their representatives (school) to carry out the law equally and fairly. However, since this not a perfect world, we cannot. The fact is we need to not allow ourselves to give up every right we have, in the case being privacy. So much of our lives are monitored and watched, that I can’t help but feel we shouldn’t force upon the students of America any more pressure than we already are. Because, really, how much more as students can we deal with? You see my school doesn’t allow gum and i was caught chewing gum… so my principal tells me to write a full page report on gum and how it affects our economy.. but the thing is, i research the topic and find so many things about gum being a good thing that i dont see the issue of chewing gum.. sure some kids may stick gum underneath desks and stuff but you know what? If the teachers were to pay more attention and catch the people who are irresponsible with gum to make them clean it up then there’s no problem. Teachers should pay more attention then they do. i feel like if my school was to get cameras in the classroom or in the bathroom’s my privacy would be taken away. my mom and dad would be in all of my business even more than what they are now. kids need there privacy it shouldn’t be taken away at all!! from Australia, that happen to be crafted from twin-tier merino wool. When it comes to essentially the most styling infant, dress your kids in uggs. increased desire, and winter months season approaching, you’ll be able to still discover some good provides.